Simeon started school in 2013 at PCS, an English medium school. 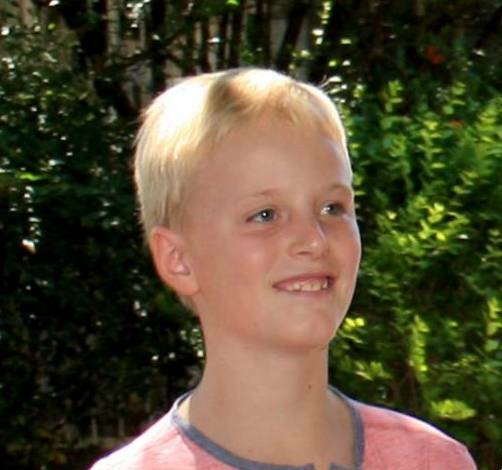 Due to family related reasons Simeon went to an Afrikaans school in 2014. In 2015 he reverted back to PCS, to attend Grade 3 in English. 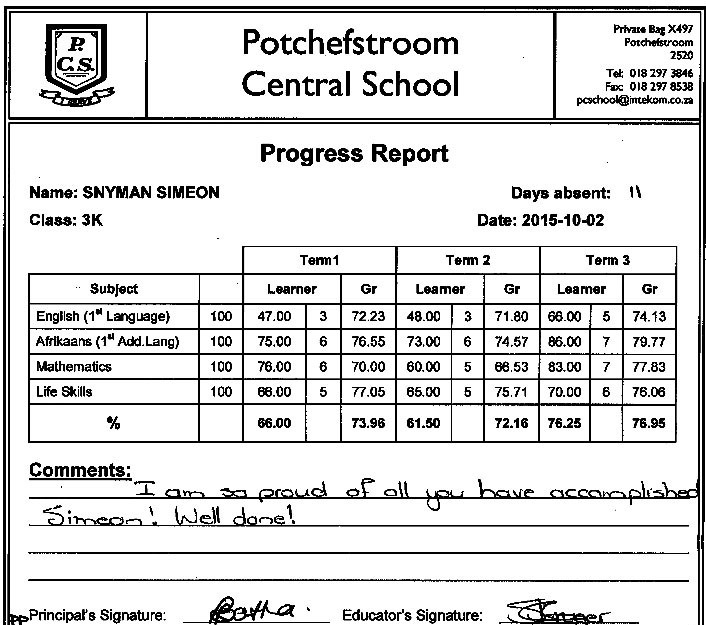 After the second term it was clear that Simeon’s grades were not showing his full academic potential. We then decided that Simeon should attend Edublox with the hope that the program would assist him with his grades. Simeon was enrolled for the Intensive Holiday Course during the June school holidays. The course has helped Simeon in gaining confidence, and his English spelling and pronunciation have improved considerably. After the course he continued to attend Edublox classes twice a week. Simeon’s average has improved by nearly 15% in one term ― from 61.50% in the second term to 76.25% in the third term. Best of all is that his self-confidence has improved a lot. Simeon’s attention span is still short and he is reluctant to go to Edublox after school, but by the time I collect him from the classes he is all smiles and sad to leave the establishment.